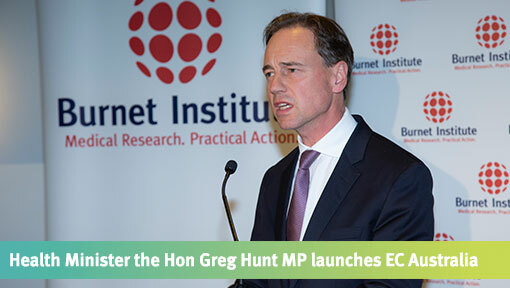 EC Australia, launched at Parliament House by Federal Health Minister, the Hon Greg Hunt MP, in partnership with the Paul Ramsay Foundation, is a multi-million dollar targeted, national response to the serious decline in the uptake of highly effective drugs to cure hepatitis C among Australians living with the deadly virus. Increase hepatitis C awareness, testing and treatment for high risk and vulnerable communities. 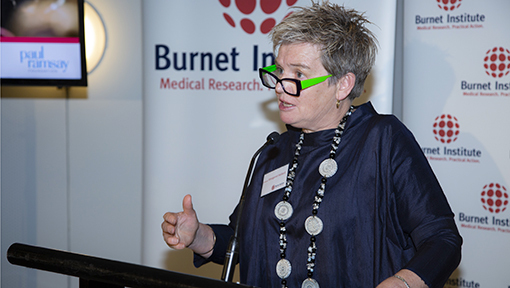 “I wish to congratulate Burnet Institute and its partners in working together to ensure all people living with hepatitis C have the opportunity access to direct-acting antivirals including the most vulnerable,” Minister Hunt said. Federal Opposition Leader, the Hon Bill Shorten MP also supported the launch of EC Australia, remarking that the initiative could assist Australia in reaching its goal of eliminating hepatitis C by 2030. Image: Federal Opposition Leader, the Hon Bill Shorten MP. “We’re all here for something real, something meaningful tonight. 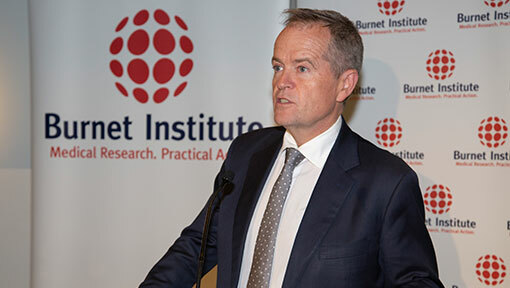 That’s the power of the Burnet Institute and the work you do – and it’s the commitment all of us share to supporting your research and the advances it drives,” Mr Shorten said. “Your research means we can tackle the cause – and change the effect. For the first time, EC Australia, funded through an AUD$11.33million grant from the Paul Ramsay Foundation, will bring together researchers, scientists, government, health services and community organisations to deliver a coordinated national response. 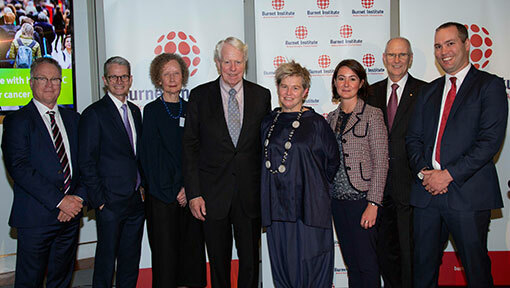 Burnet Director and CEO Professor Brendan Crabb AC said eliminating hepatitis C from Australia would be an enormous humanitarian, scientific and economic achievement. 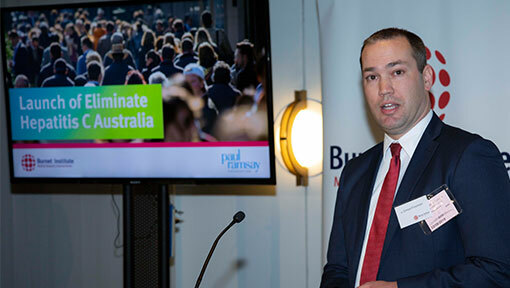 “The effort itself is an emphatic statement that the health of all Australians is important, no matter what their circumstance,” Professor Crabb said. Since 2016, 58,000 Australians have commenced HCV treatment, including 43,000 in the first 15 months, but the numbers have fallen every month since. A further 170,000 Australians, particularly Aboriginal and Torres Strait Islanders, people who have injected drugs, prisoners, and gay and bisexual men, are estimated to be living with hepatitis C.
Image: Burnet Institute and Paul Ramsay Foundation Board members and executive staff including (L-R) Mr Brian Graetz, Professor Brendan Crabb AC, Associate Professor Helen Evans AO, Mr Rob Milne, Professor Margaret Hellard, Ms Miche Paterson, Mr Greg Hutchinson AM, and Mr Simon Freeman.